Halloween is right around the corner and that means once again trying to decide on costumes for your pets. I know how challenging it can be to come up with something amazing and original each year. While it might be tempting to fall back on some tried-and-true costumes (Deluxe Polarchuck, Gobbler, etc.) or follow the Faerie route (since there were so many Illusen/Jhudora/Fyora/etc. wearables released this year), I've come up with a few costume ideas for every species using pet-specific outfits already available on the market that will set your pet apart from all the rest. I'm sure every pet has dreamed of being a rock and/or pop star, so why not let them live that dream this Halloween! There are some great options for all kinds of music fans. For those with Xweetoks or Hissis, they can serenade their fans with their Pop Star ensembles. For those with Chias or Eyries, they can rock the night away with their Rock Star outfits; Kikos can drum along in their Drummer outfit, and Kyrii can strum in their Busker outfit. For those with edgy Poogles, Buzzes, Moehogs, Ogrins, and Tuskaninnies, they can head-bang in their Punk (rocker) get-ups. For those with Flotsams and Lutaris, they can jam with their Band Leader sets. For those who enjoy classical music, think about investing in the Concert Violinist set for your Koi, the Bard set for your Elephante or the Cellist set for your Pteri. No star is complete without a stage to perform on. Of course, the two best backgrounds for this costume idea – the Simple Wooden Stage and Platform Background – are uber expensive and rare. Instead, I recommend either the Neopies Carpet Background (every musical star needs a red carpet to walk on, after all) or the Mystery Island Training School Background (not just for stat training! ), paired with the Nova Gems Garland for some extra glam. Ah, adventures. 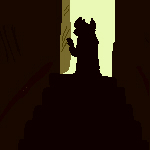 What pet doesn't love to go out exploring, stumble across hidden ruins, maybe even search for that elusive lost treasure? Luckily enough, a lot of pets can pull off this daring and exciting costume idea. Kougras, Meercas, Nimmos, Quiggles, Rukis, Ixi, and Techos have Adventurer outfits of their own (and Nimmos, Rukis, and Techos even have torches as part of their outfits, perfect for exploring those dark and scary caves). For similar looks, try the Treasure Hunter outfit for Acaras, Safari outfit for Bruces, the Traveller outfit for Draiks, the Explorer outfit for Myncies, and the Wildlife Shirt paired with the Rugged Peophin Hat for Peophins. For adventuring that knows no boundaries, go with the Time Traveller outfit for both Lennies and Peophins. For a complete adventurer look, you'll need the Stuck in the Lost Isle Background paired with the Hanging Fronds (a great garland). Though feel free to mix things up with the Thorny Vine Garland and/or the Bamboo Forest Foreground. I also suggest buying the Rolled Up Treasure Map (especially if your pet's outfit doesn't come with a handheld) or the Fiery Carved Torch. To help your pet find their way (or at least to help them not get lost), finish off the outfit with the Compass Bracelet. While some pets dream of being singing sensations, others dream of being dancing superstars! So why not let them dance Halloween night away! If you want a ballet outfit, you need a Tonu, Poogle, Tuskaninny, or a Quiggle. 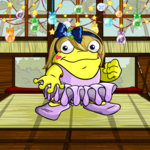 For Quiggles, I recommend using the Ballet outfit along with the Quiggle Tea Party Wig and Quiggle Tea Party Makeup to make yours really impress. For Poogle owners, know that the ballet dancer set is made up of the Poogle Ballet Shoes and Poogle Tutu (and maybe pair it with the Poogle Pink Tiara). For Tonus, I suggest using the Leaf-Sewn Tonu Wig (along with the Blue Tonu Tutu and Blue Tonu Ballet Slippers) for some extra glam. 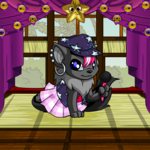 For pets who are a bit put off by tutus, have them look at the Dancer clothing sets that a few species have. There's the Sakhmet Aisha, Colourful Blumaroo, Colourful Buzz, Colourful Female/Male Hissi, Colourful Female Kiko, and Scorchio Folk (Dancer). For some really fun dancing, go with the Jazzy set for your Bori or the Disco (Dancer) set for your Aisha. Take to the stage and show off your pet's moves on the Mystery Island Training School Background. To add some extra pizzazz, use the Nova Gems Garland or the Faerie Bubble String Lights to shine the spotlight on your pet. Wizards, Sorceresses, Magicians, oh my! Some of the coolest outfits on the Neopian market, in my humble opinion, are the ones in this category. If there was a Wizard outfit for Bruces, well, my Bruce would be a wizard 365 days of the year! (I'm crossing my fingers for this to happen for Bruce Day this year.) Still, there are quite a few magical outfits for some species to choose from. To be a true Wizard, you'll need a Xweetok, Shoyru, Lenny, Krawk, or a Kiko. (Note: beards are optional. Feel free to not use them if you want a younger-looking wizard.) 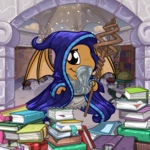 If you're wanting your pet to be a Sorceress, then you'll need a Draik; and for a Mage, you'll need a Kyrii or a Kacheek. On the other side of the magical spectrum are magicians, and you'll find Magician ensembles for Eyries, Meercas (comes with an adorable Snowbunny in a hat! ), and Blumaroos. The fun part of this costume comes with deciding whether you want a good wizard or an evil wizard. For a good wizard, they'll want to spend their time studying magic and practicing spells. What better way to do this than with Xandras Library Background and the Piles of Books foreground. For an evil wizard, go with the Faerielands Destruction Background or Ednas Shadow Background (perfect for mixing up nasty concoctions) paired with the Cover of Darkness foreground for some extra darkness. Solving mysteries, what a great way for your pets to pass the time. If you want a cool costume for Halloween, look no further than the detective/sleuth! 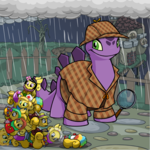 Boris and JubJubs are lucky enough to have detective sets, and Chombys, Grarrls, Krawks are lucky enough to have Sleuth sets. Korbats can also help solve mysteries in their YEAAAAAH Awesome sets. For a cool detective look, try the A Grey Day Background with the Grey Clouds Foreground. And now for the fun part – picking a mystery to solve! While out trick-or-treating, your pet can solve mysteries like who left behind a puddle of mercury (use the Puddle of Mercury Foreground), who knocked over the plant or coffee (use the Spilt Plant or Spilt Coffee), why Jhudora's plant is so creepy (Creepy Jhudora Potted Plant), who didn't do their laundry (use the Pile of Spooky Laundry), or calculating how many Usukis there are (use the Pile of Usukis). Since I couldn't fit all the nifty outfits I came across into the above categories, I've decided to list the remaining super cool outfit ideas here for those species not yet mentioned. For Lupes, consider the Grandma set worn with the Shenkuu House with River View Background. 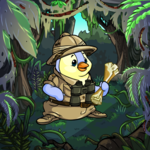 This costume idea would match perfectly with the Red Riding Hood sets that Cybunnies, Krawks, and Wockies have (on the off chance that you have a Lupe + Cybunny/Krawk/Wocky). Of course, those Red Riding Hoods would have to pass through a forest to get to grandma's house, and a great spooky forest can be found with the Malicious Dark Faeries Background. For sporty costumes, go with the Waterskiing outfit for Jetsams (along with the Underwater Background), the Ski set for Usuls (along with the Winter Landscape Background), the Purple (sporty) set for Unis (includes Purple Uni Headband, Purple Uni Leg Warmers, and Sporty Purple Uni Skirt; along with the Game Room Background), and the Winter set for Zafaras (snowshoeing while trick-or-treating? Awesome! Pair it with the Winter Landscape Background). To scare off any riff-raff, go with the Sheriff outfits for Gnorbus and Kaus, paired with the Brightvale Prison Cell Background. For Skeiths, try the Tinkerer set along with the Moltaran Workshop Background. For some sea-faring fun, dress up your Yurble in the Admiral ensemble or your Grundo in the Sailor ensemble, paired with the View of Krawk Island from Ship Background with the Ropes Garland (or the Roo Island Pier Background). 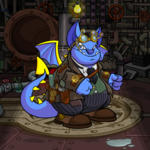 Finally, for something super cool, go with a spy-inspired costume for Gelerts, Peophins, and Flotsams and the Shenkuu Silhouette Background. So there you have it, six costume ideas (and then some) for your pet, all with no NC required, that will make your pet stand out this spooky season. Happy Halloween everyone! "Roll the dice already!" Lolly yelled, slamming her faerie Lupe paw impatiently on the ground.